Evva and I were models in a fashion show last week. It was Project Handmade (take off from Project Runway?) for the Local Cloth organization, which works to support the local fiber arts and textile economy and profession. It is a great organization and does a good job promoting local fiber and textile artists and businesses in the area in a great way. 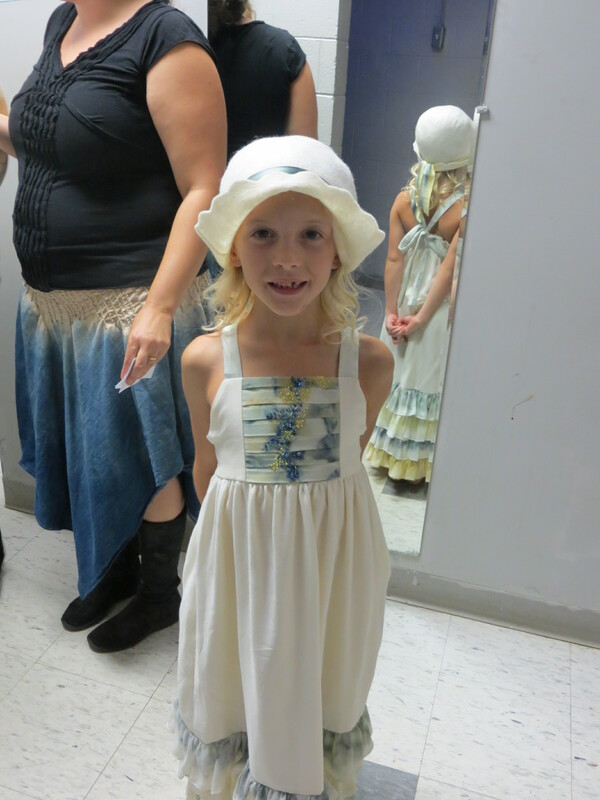 I was honored to be a part of the show–asked by a fiber-artist neighbor to model some of her co-creations. The outfits from the show were amazing–all juried, some high fashion, some outfits I would wear any day. 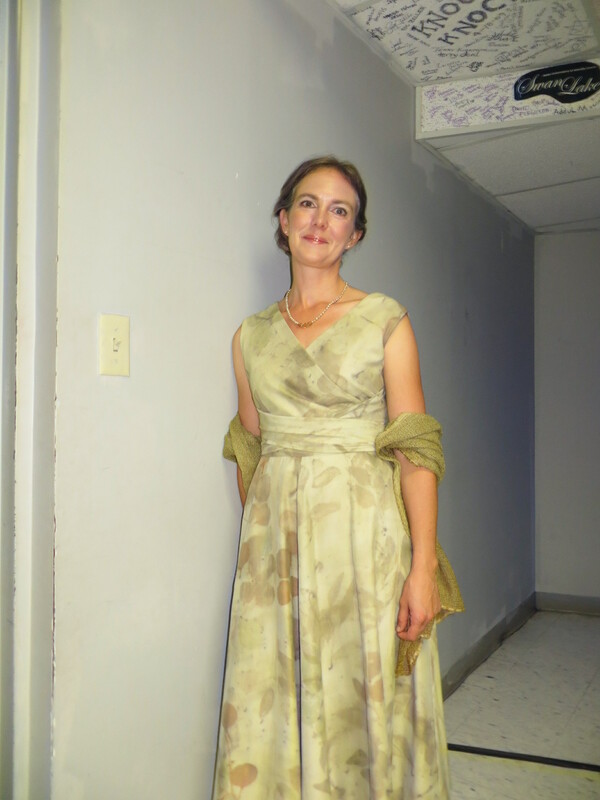 I loved my dress and Evva’s dress, both beautifully dyed with local plants and sewed by a local seamstress. The show was so much fun, and I was in awe of the great artist represented–and also by the mutual support they provided for each other. I got inspired to do some cloths designs of my own! 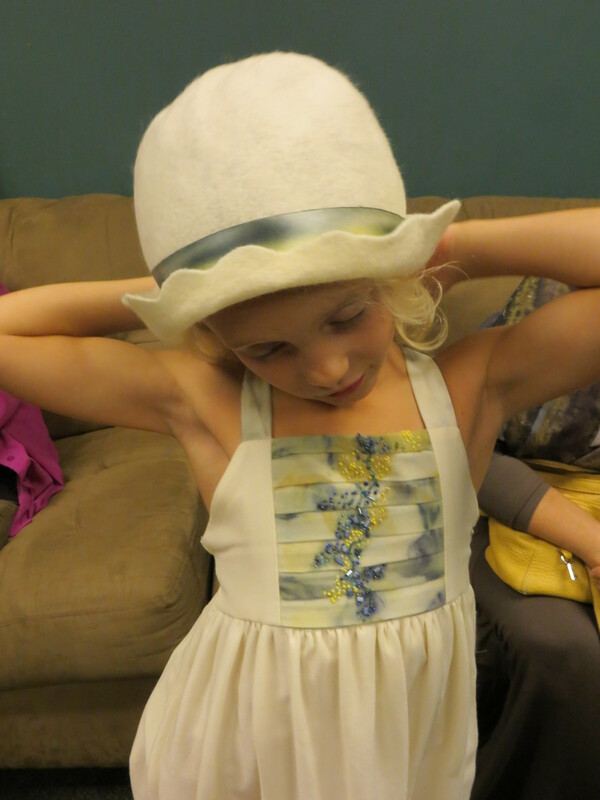 front (and back) of Evva’s dress — also she lost a tooth that morning! You both look lovely! What a unique event.